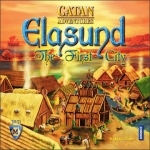 You control a group of settlers trying to tame the wilds on the remote but rich island of Catan. This game requires, strategy, trade, and growth, and is a fast-paced and fun game of peaceful conquest. The board is randomly generated for each game, giving the island a different look each time you play. 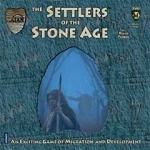 Place your settlements wisely, roll the dice well, and learn to negotiate with your neighbors for valuable resources as you build your mighty empire. Shrewed trading and clever resource management allow you to crush your opponents and gain dominance over Catan. Settlers Of Catan was the 1995 German Game of the Year, and the Settler family has since grown with expansion packs, card games, and new game editions – even an edition set in space! 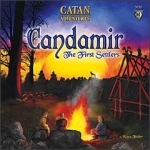 The Settlers Of Catan series has proven to be one of the most popular strategy games in recent memory. The official Catan home page features comprehensive information about all the games in the Catan series, as well as up-to-date news of the latest happenings in the Catan community. The Bloggers of Catan -- go beyond the Catan games information and have a look behind the scenes with background stories and interesting Catan-related things, from the Catan team at Mayfair Games. 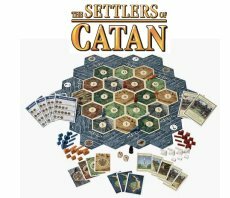 Mayfair Games publishes the "Settlers Of Catan" series, as well as a large selection of railroad games, card games, dice games, role-playing games, collectible card games, and more. A hallowed place of learning, where the students and teachers are often one and the same, in the quest for the knowledge and finesse that will lead them to the mastery of commerce and colonial planning.